Helping diverse learners crack the code of reading. submitted by Mary Catherine from Fun-A-Day.com. An easy and meaningful way to enrich the print in a classroom is with environmental print! As John Funk explains in Read the Room, creating a print-rich environment is incredibly important for early readers. It can be even more so when a child is having trouble with reading tasks. Environmental print refers to words, signs, and symbols that surround us on a daily basis. Some examples include stop signs, store signs, and grocery staples. Children are able to “read” environmental print because of the distinctive shapes and colors, along with the daily exposure. 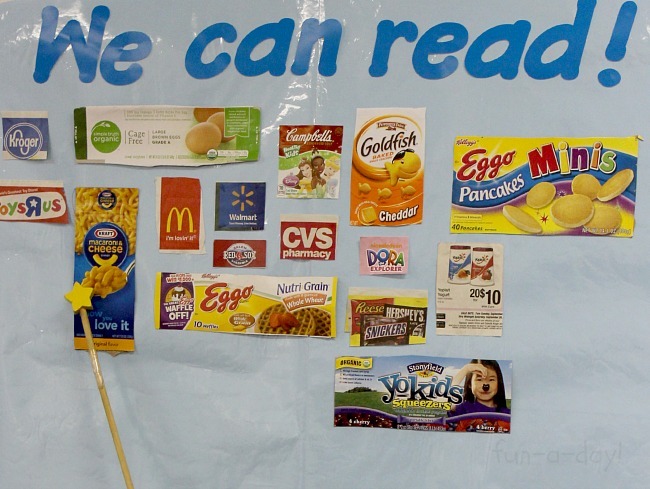 Bringing environmental print into the classroom can help children as they’re learning to read. Pre-readers are excited to have words they recognize up in their class. Struggling readers can find comfort in these recognizable symbols, as well! Towards the beginning of the school year, I gave my preschool students some important homework. With their families, they collected examples of environmental print they could read. As a class, we created a “we can read” space in our home center. We’ve added to it over the year, and I’m sure it will be full by spring! The children enjoy using my pointers when they’re reading our environmental print decoration. It’s a very simple task, yes, but it allows the children to grow confident in their reading abilities. It also helps them make connections between the written word and spoken language, as well as print-to-print connections. 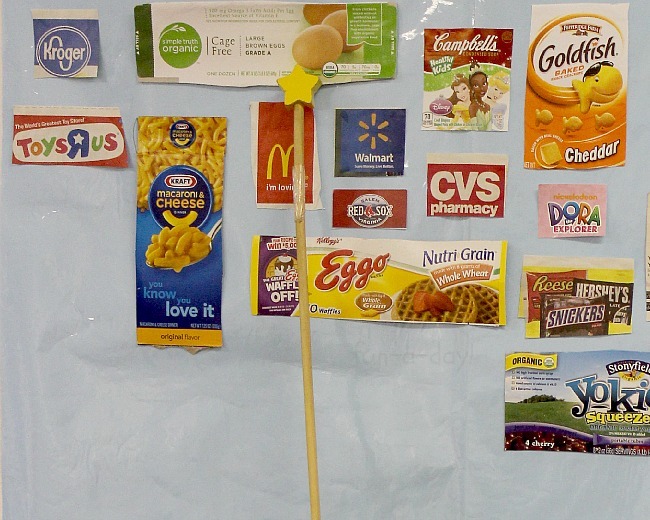 How do you incorporate environmental print into your classroom? I’d love to hear more ideas you may have! If you’re looking for more early literacy ideas, I’d love for you to check out my Balanced Literacy Pinterest Board. Mary Catherine is mama to a 6-year old kick in the pants, teacher to a fun group of pre-k students, and the force behind Fun-A-Day! She loves reading (especially science fiction), messy science experiments with her son, and dark chocolate! You can connect with her on Facebook, Pinterest, Google+ and Twitter. This post is authored by John Funk. This academic year I have spent extra time in a second grade classroom where one of my student teaching candidates is assigned. The group is challenging for her because the host teacher in the classroom has not been successful in maintaining good classroom management. I have tried to model and build positive relationships with some of the ‘special’ children in the group. One boy in particular is not only a behavior challenge, but he is also struggling with reading. Recently, I was model teaching in the classroom to help my candidate master more management strategies. I was working with this special child, and he was stressing about not being able to read his library book. He did not even want to make any attempt at the words, because he “couldn’t do it.” Placing his library book aside temporarily, I challenged him to point to any words in the room that he could read. He pointed and we read and we counted how many words he could read as we moved around the room. He was thrilled about the 21 words he found. His attitude toward reading turned around almost instantly. He displayed great enthusiasm as we moved to decoding activities with his library book. He was now confident he could do something. Posted Alphabet. There should be at least two alphabet sets posted in every classroom. These charts should be at the eye level of the children from preschool to 2nd grade. I know that it is a bit challenging for classrooms with limited space. 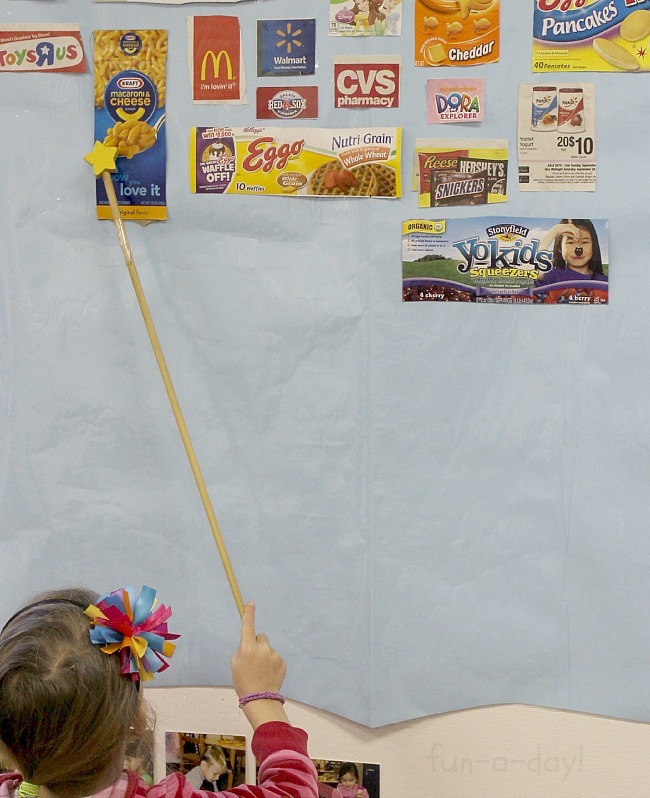 However, keep in mind that items posted at eye-level or below are great learning tools for children. Items posted above the child’s line of sight are decorations. Name Labels: A child’s name is one of the best ways to teach about print. A child’s name should appear at least 4-5 times throughout the classroom. Attendance cards, cubby labels, helper boards, apron hooks, center tags and name puzzles are just a few possible ways to display each child’s name. Even after the child becomes a reader, displaying his name, written correctly, continues to serve as a great model for writing and spelling. Item Labels: A good early childhood teacher will label every part of the classroom from the doors to the sink. Block shelves, listening centers, writing tables and group areas should all have written labels indicating the word that best describes that area. Each word displayed in an early childhood classroom should be accompanied by a picture of the item as a visual reminder about the word. Teacher Writing: Teachers should look for every opportunity to model writing for the children in the group. This can be an important part of a rug or circle time activity. The children should be able to observe the teacher writing simple words and short sentences about something related to the topic of the day. The teacher should say the words and talk the children through the writing during these modeling sessions, mentioning writing on the line, spacing between words, and the correct way to form letters. A teacher’s handwriting should be as neat and clear as possible, even if the teacher is writing on a smart board. Every Opportunity to Model Print: I knew a teacher who had everyone coming into the classroom ‘sign in.’ When a parent helper came in, she printed her name on the board to ‘sign in.’ I adopted this activity when teaching because I thought it was such a good model of print and gave the children another opportunity to read. “Reading the Room” is great support for the development of reading skills. It can also be a wonderful strategy when working with struggling readers. We know that children’s attitudes directly impact how quickly they can pick up the components of reading. It is sometimes a challenging task to get a struggling reader to feel positive and excited about reading. It is difficult and daunting for her. 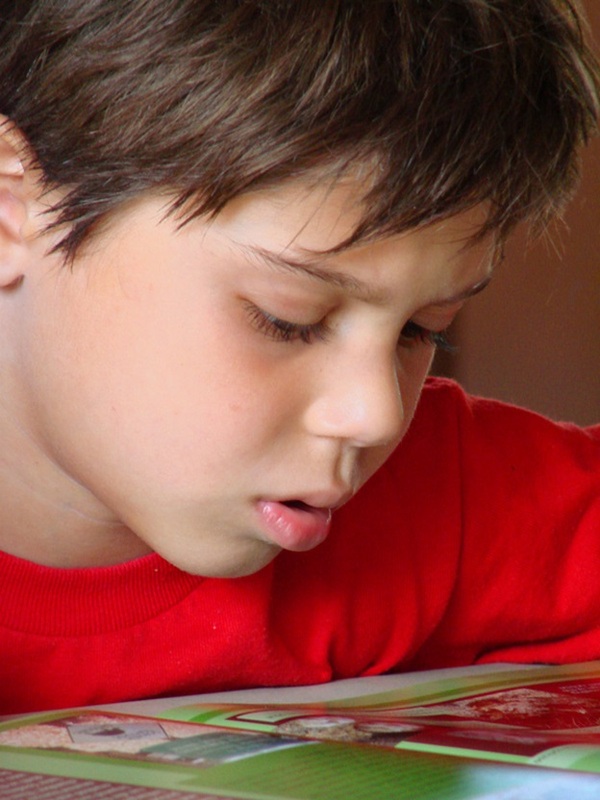 Reading the Room just may be a way to spark enthusiasm for working on reading skills. Snow, C.E., Burns, S., & Griffin, P. (1998). Preventing reading difficulties in young children. Washington, DC: National Academy Press. Mastropieri, M.A. & Scruggs, T.E. (1997). Best practices in promoting reading comprehension in students with learning disabilities: 1976-1996. Remedial and Special Education, 18, 197-213. Slavin, R.E., Lake, C., Davis, S., & Madden, N. (2009, June) Effective programs for struggling readers: A best evidence synthesis. Baltimore, MD: Johns Hopkins University, Center for Data-Driven Reform in Education. As John Funk explains in “Music and Reading”, children can learn a variety of important skills via songs, poems, and chants. I love incorporating them into my preschool lesson plans because the kiddos learn so much while having a ton of FUN! Using pocket chart poems and songs when teaching reading and name recognition is a favorite activity of mine. Recently, my class and I did just that with the song “Old McDonald Had a Farm”. We’d been discussing apples, pumpkins, harvest time, and farms over the past two months. So “Old McDonald” was a great choice based on our recent themes, and the fact that the kids already knew the song. To set up this activity, I wrote out the first few lines of the song on sentence strips. From there, I added the sentence strips to our big blue pocket chart. Once that was settled, I asked the children what animals we should have on our farm. They chose cow, chicken, pig, sheep, and horse. I just drew simple pictures of those farm animals on construction paper and added the animals to our pocket chart. (If you’d rather have a printable version of farm animals, I have a free version at my Teachers Notebook shop). We already had sentence strips with our names on them, so I added those too. Once the pocket chart was ready, I grabbed a pointer and we got started! The sheep was up first, so I made sure to add the appropriate card to our pocket chart. We sang the song together while I pointed to the words on the chart. I didn’t have the last part of the song written out, but the kids were fine singing that on their own. Once we went through all the farm animals, we decided to add the children’s names to the song. This is ALWAYS a huge hit in my preschool classroom! The kids like to see their names in any of our classroom activities, so that really grabbed their attention. It also made the song even funnier for the children – they were giggling up a storm at “Old McMary Catherine had a farm . . .”! A well-known song, their names, AND humor equaled an incredibly fun learning experience! What did the kiddos learn from this short and silly pocket chart poem? What songs and poems do you enjoy using in the classroom? Do your students have any favorites? Throughout my years of working with struggling readers, I have become convinced that one of the factors that contribute to a child becoming a struggling reader is inadequate support for his early writing. I have often observed inappropriate activities and instruction in preschool and kindergarten classrooms which illustrate this point. I shudder when I see a teacher have the children copy words written on the board as a ‘writing’ assignment, when — at best — it may be a fine motor handwriting practice. I become equally as concerned when I hear a teacher tell children to use ‘invented spelling’ or ‘kindergarten spelling,’ when it is evident from the blank stares that the children have not made solid connections between alphabet letters, words, and writing. Drawing and Scribbling. The child usually doesn’t understand the connection between writing and speech. Letters and Letter-Like Forms. The child makes attempts at writing letters, although at first they don’t necessarily resemble the actual letter. Salient and Beginning Sounds. The child begins to make the connection between speech and writing and knows enough about letters that she begins to write a letter for a word (e.g., B for ‘baby,’ or V for ‘elevator’). Beginning and Ending Sounds. The child has enough phonemic awareness to attend to individual sounds and begins to use her knowledge of letters to use invented spelling (e.g., CT for ‘cat,’ or AT for ‘ate’). Within a classroom of children, you may have students functioning at all four of these levels. Different support is needed at each stage for helping the child develop a strong foundation for writing. Think about the two classroom scenarios I mentioned above. The first one — having children copy letters off the board — would not support any of the four stages above. The second situation — telling the child to use invented spelling — would be very confusing for any child who was still in one of the first three stages. She wouldn’t have enough skills to use invented spelling. What does this have to do with reading? Everything. As a child receives early reading instruction and begins to understand how the alphabet works on paper, each one of the four writing stages can assist the child in developing a foundation for reading. Having solid support at each one of the stages will help the child learn the connections between reading, writing, and speaking. Without that solid support, he will be missing critical bricks in his reading foundation. Although there may be numerous reasons why a child is a struggling reader, lack of support in writing is certainly a major factor. Struggling readers are also struggling writers. Teachers should support the child through all four stages of writing and not force him to write under unrealistic expectations. I was visiting a kindergarten recently and the teacher was convinced the children could ‘edit’ the stories that they had written (or attempted to write). Reading research tells us that a child should not be ‘editing’ writing until the latter part of first grade and only if he has been taught basic conventions of writing sentences and has been introduced to enough spelling words. He would also have enough reading skills at that point to make a strong connection. 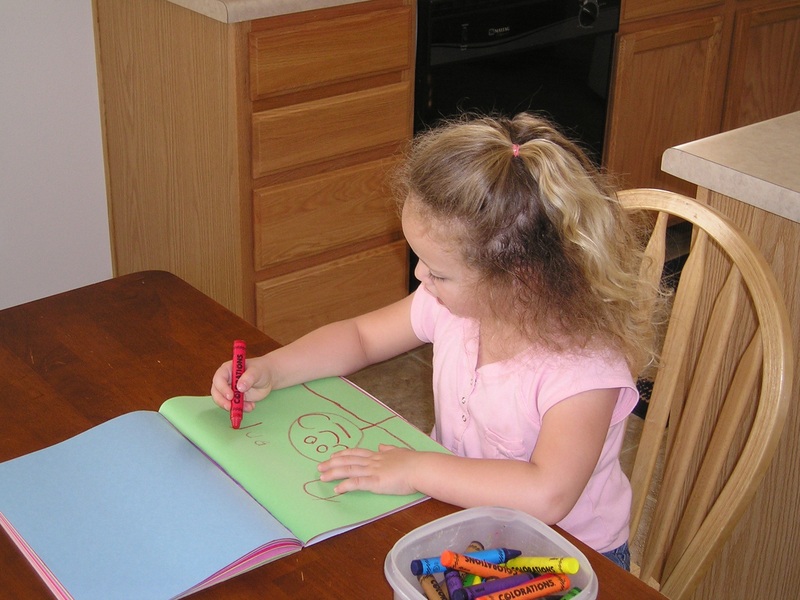 This is the natural and developmentally appropriate progress of writing for young children. Supporting the four writing stages will assist the child in becoming a writer as he becomes a reader. *Cabell, S.Q, L.S. Tortorelli, and H.K. Gerde. How Do I Write…? Scaffolding preschoolers’ early writing skills. The Reading Teacher, Vol. 66, Issue 8, International Reading Association, May 2013. I appreciated the comments to the last blog post. It is evident that there needs to be a strong concentration of pre-reading and reading activities for children in early childhood settings. As I stated in one of my answers to the comments in the last post, I think many of our struggling readers were left behind because of poor instruction and lack of developmental strategies. I enjoyed looking at the website for the National Reading Panel that Scott sent along with his comments. I often teach beginning reading strategies to pre-service teachers. One component of that instruction is the discussion about predictors of reading success. We know that becoming an on-level reader in first grade is essential for a child. There are two strong predictors to that success. “Predictors” are skills so important that we should make every effort to ensure that a child builds solid foundations in these skills during preschool and kindergarten; ultimately these skills are essential to building the reading foundation. These two predictors are phonemic awareness and alphabet letter knowledge. That fact is reiterated again on the National Reading Council website. I emphasize that if these foundation skills are not taught appropriately, the child runs the risk of becoming a struggling reader, lacking the background information for making sense of the reading process. Phonemic Awareness is the ability to hear sounds of speech (phonemes) in spoken language. It is the beginning stage of phonological awareness, which will eventually include syllables and phonics. Prior to the influx of large quantities of children’s literature, most children came to school with phonemic awareness. Parents used nursery rhymes and folktales with their children because picture books were not as readily available. That scenario changed as quality picture books became readily available. 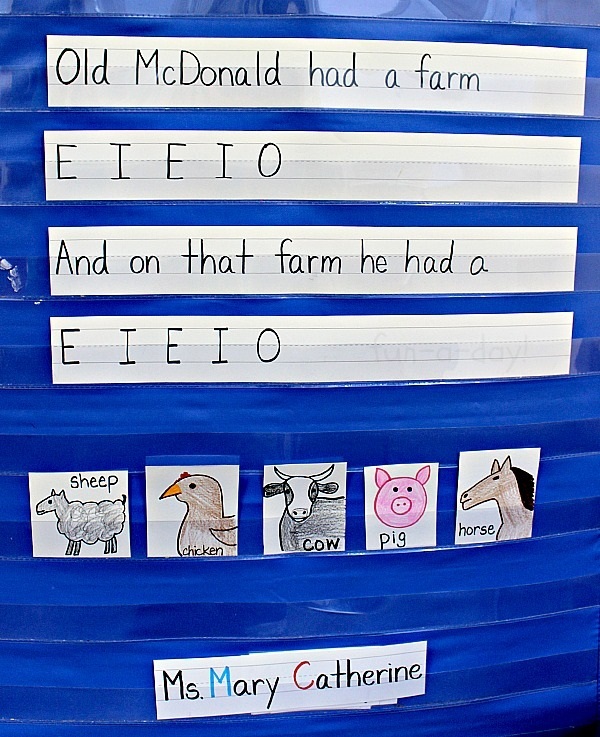 Nursery rhymes are one of the best teaching tools for phonemic awareness. They teach children to listen to the sounds that are the same and the sounds that are different. Compare “Jill” and “hill” in the nursery rhyme “Jack and Jill.” A child can hear how the beginning sound is different, but the rest of the word is the same. When a child has phonemic awareness, you can ask the child to identify the sound she hears at the beginning of the word “cookie.” If the child indicates /k/, then she can hear that sound. At this point it is not important if the child knows it is the letter ‘c’ that makes the sound. It is only critical that she can hear individual sounds. This knowledge is essential to beginning the reading process. The other predicting skill is knowledge of the alphabet letters. It is so important to work on letter identification with a child prior to beginning instruction in reading. As I stated in one of my comments on the last blog entry, it is important to use appropriate activities for letter identification. Using magnetic, wooden, or plastic letters is a much better way to introduce children to the alphabet than looking at a chart or paper. When the child has some background knowledge in letters, have him form them out of play dough or some other moldable material. Wet moldable sand is also a wonderful option for the child to “feel” the letters and build some cognitive memories about the letter. We must be as concrete as possible with early reading skills because reading is actually quite abstract. As I was pointing to the letter ‘a’ one day, I told a four- year-old girl that letter said /a/. Her response was, “I didn’t hear it say anything.” Being more concrete will help the child understand this new world of reading. It is critical for us to help children instantly identify the letters. That instant recognition is called “automaticity” by reading researchers. That automaticity is the predictor of reading success. I was recently helping one of my pre-service teachers as she was teaching in a second grade classroom. The month before, she had received a new student who could not read. The student teacher had not had success in working with the child on letter sounds and decoding words. We decided that the child must have missed early reading instruction, so we went back and worked on phonemic awareness and letter recognition. Within two weeks the child started to improve and is now sounding out words. Because we went back to put in the foundation pieces, I believe this child will eventually be on grade level with her reading skills. Without someone taking her back to the beginning, she may have been labeled a struggling reader and provided with intervention and perhaps special needs services. This experience has made me wonder how many children with missing pieces in their learning foundation end up in at-risk learning situations. Have you had similar experiences? Join in this new discussion about teaching children of all abilities to read. John Funk, an educator and teacher trainer, explores topics and issues affecting struggling and emerging readers. Mary Catherine, a preschool, kindergarten and Reading Recovery teacher, offers helpful complementary activities to support reading and literacy. John Funk has worked in early childhood since 1979. He taught preschool, 1st and 2nd grades and kindergarten. He worked as an early childhood specialist for a large school district and managed early childhood services for Salt Lake CAP Head Start. He is past president of the Utah AEYC. As an early childhood, reading, and literacy consultant for the last decade, he has written on early childhood subjects and products for McGraw Hill and Leap Frog. He served on the editorial panel for Young Children magazine published by NAEYC. Currently, John is the Manager of Educational Programs for Excelligence Learning Corporation, and he teaches courses in early childhood, children’s literature, classroom management, reading methods and supervises student teachers at the University of Utah.